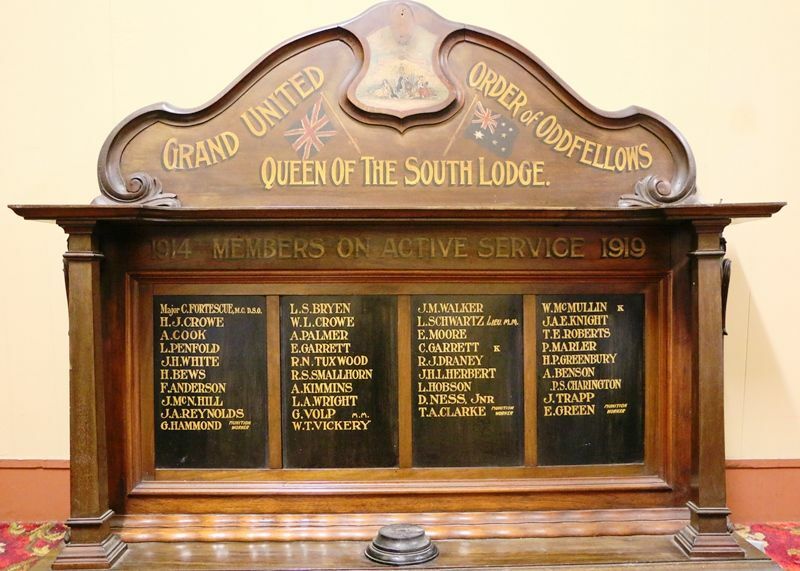 A wooden honour roll commemorates members of the Queen of the South Lodge who served in World War One. 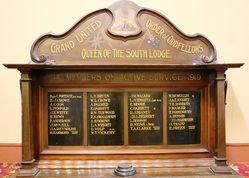 The members of the Toowoomba Branch of the Queen of the South Lodge are most enthusiastic. This was shown on Saturday night when out of membership of 275 considerably over 200 members attended at the Masonic Hall for the purpose of witnessing the unveiling of an honour board to nearly 40 of their members who enlistcd during the war. 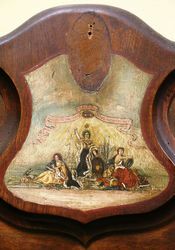 The board, which is of Australian maple, designed and fashioned by Brother J. Ollier, on whom is reflected considerable credit. Darling Downs Gazette (Qld), 29 September 1919. QUEEN OF THE SOUTH LODGE.